Three French lawmakers have arrived in Syria on a humanitarian visit to spend the Orthodox Christmas weekend with Syrian Christians in Aleppo. The organizer of the trip, Thierry Mariani, who is a member of The Republicans (LR) party, his fellow LR member Nicolas Dhuicq and a former member of the Democratic Movement party and presidential candidate, Jean Lassalle, arrived in Damascus on Thursday. They plan to hold a series of meetings with officials in Damascus and Aleppo and familiarize themselves with the humanitarian and military situation in the country. In an interview with Sputnik, Thierry Mariani said that in Damascus he and his colleagues had met with Deputy Foreign Minister Ayman Susan to discuss the situation in the country. “Today we are flying to Aleppo, which means that the airport there has finally reopened. We want to see what the situation in Aleppo really looks like. During our previous visit here we celebrated Catholic Easter with local Christians and promised to come back for Christmas. In Aleppo we’ll meet with representatives of the local Armenian community in a sign of solidarity with the residents of this much-suffered city,” Mariani said. He added that the people of Damascus were running short of drinking water, much of which was poisoned by the terrorists. The remaining clean water is now being distributed in tanks. “People keep talking about this [water poisoning] as a real crime and a tragedy for so many people living here,” Mariani added. In an interview with Sputnik, Nicolas Dhuicq said that this was already his third visit to Damascus. “Life is now returning to the city, windows are lighting up and people are beginning to leave their shelters and live a normal life,” he said, adding that the situation had improved notably compared to what it was like just a year ago. When asked if he thought that their visit and impressions would help change the French people’s opinion about the Syrian conflict, Nicolas Dhuicq said that he hoped they would. 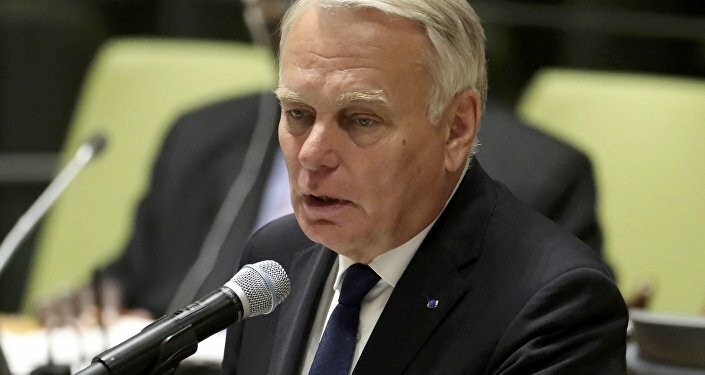 “Secondly, I think that in the coming months and years the new French government will help our diplomats wake up to reality and act accordingly,” he emphasized. Since 2011, Syria has been engulfed in a civil war, following the protests that had turned violent, as part of the so-called Arab Spring. Over the recent months, Aleppo became a major battleground in Syria. On December 16, 2016, the Russian Defense Ministry's center for Syrian reconciliation said that the Syrian army operation to liberate the eastern neighborhoods of Aleppo was over, and that the Syrian government troops were eliminating separate hotbeds of militant resistance.